Bridal Hair Design for you and your wedding party on your wedding day. Performed months prior to the wedding, creating a natural and healthy glow. Bridal trial hair design and makeup application and Shellac manicure for the bride one month prior to the wedding. Shellac manicure for the bride two weeks prior to the wedding. Salt Glow body treatment for the bride one week before the wedding. French Shellac manicure and French pedicure for the bride the day before the wedding. Bridal hair design and veil placement and bridal makeup application for the bride the day of the wedding. Bridal trial hair design for the bride one month before the wedding. Shellac manicure and Classic pedicure for the bridesmaid the day before the wedding. Special occasion hair and makeup application for the bridesmaid the day of the wedding. Shellac manicure the day before the wedding for the mother of the bride or mother of the groom. Shampoo, blow dry, and makeup application the day of the wedding for the mother of the bride or mother of the groom. Add on the services below to any of bridal packages. Before you walk down the aisle, let BJ Grand Salon & Spa help to ensure you look and feel your best. A beautiful and radiant wedding day look begins by scheduling an initial consultation with our Bridal Coordinator six to 12 months before your big day. We offer standard and customized bridal services and packages to meet your individual needs. Bridal hair design, makeup and perfectly polished nails for you and your wedding party. Haircut, men’s manicure and sports facial for your groom. Skincare treatments to create a natural and healthy glow. do. Airbrush makeup application for a long-lasting, flawless finish. Relieve stress and tension with a relaxing massage or two. Onsite salon services are available. Call today to schedule an initial consultation with our Bridal Coordinator. We welcome the opportunity to assist you on this most special day. When should I schedule my practice wedding style? Your practice style should be scheduled 2-4 weeks prior to your wedding day. Make sure you bring extensions, accessories and veil. Can you add extensions or accessories to my hair? Extensions an accessories can be done with specific stylists for an additional charge. How many days prior to the wedding day should I get waxed? You should schedule your last waxing to be done 2-3 days prior to your wedding day, and at least 24 hours before your spray tan. Will I breakout after a facial? There are soothing facials that will relax your skin without irritation and give your skin a healthy glow. Make sure you talk with your esthetician prior to your facial so they can recommend the best treatment for your skin type. You should wear false lashes if you have had them done in your practice makeup. Should I tan prior to my wedding? A spray tan is recommended versus a tanning bed to protect your skin. We recommend spray tanning two days prior to the wedding. When should I start getting manicures so my nails look good on my wedding day? Begin manicures three months prior. When should I get my mani/pedi before the wedding? Your last mani/pedi should be scheduled 1-3 days prior to your wedding day. How often should I be getting massages? Massages are recommended to be done every 4-6 weeks. Do you offer services outside of massage? Our Massage Therapists are trained in several forms of massage, hot stone, body treatments and hydrotherapy. Do you offer On Site Bridal Services? Yes! We offer hair and makeup services wherever you will be getting ready. Can I schedule a spa day for my bridal party? Yes! We offer fully customized Spa Days that can give you the benefits of beauty and relaxation for you and your Bridal Party. We can schedule your day in any or all our departments and even schedule lunch to be delivered. Please talk to our Bridal Coordinator to find out more information on how to schedule your Bridal Shower Spa Day! I'm not sure what services I need and how to go about starting — can you help me? We can help! Our Bridal Coordinator will answer any questions you have, plus you always have the benefit of schedule a consultation with any of our technicians. Please set-up an appointment with the Bridal Consultant at BJ Grand Salon & Spa 6-12 months prior to the wedding to create a customized bridal package for you and your bridal party. DO try a Shellac Mani/Pedi if you have problems with your polish chipping easily. DO make a party of it! Bring your bridesmaids in for a spa day and enjoy your nail treatments. DO purchase your nail color for last minute touch-ups on wedding day and honeymoon! DON'T schedule your nail appointments after your spray tan. 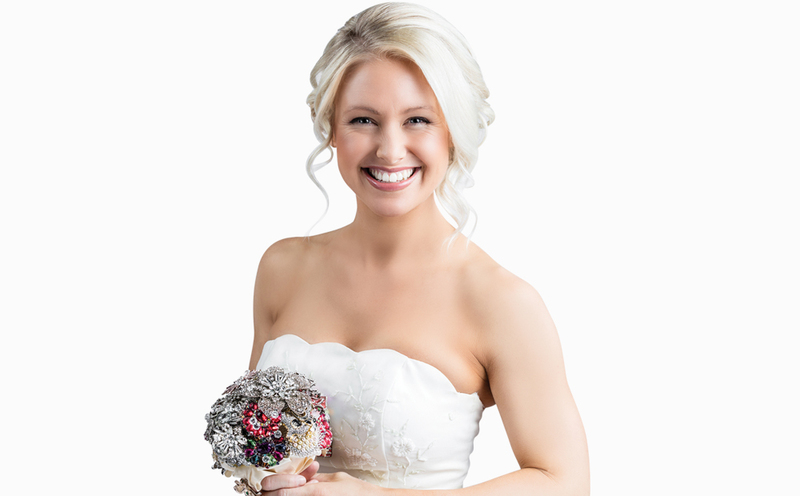 DO schedule a trial bridal hair design 2-4 weeks prior to your wedding to create your ideal look. DO bring hair accessories and veil to your practice updo and on your wedding day. DO wear a button down shirt on your wedding day so you don’t mess up your hair. DO wash your hair the night before your wedding. DO ask for extra bobby pins and purchase hairspray for last minute touch-ups! DON'T arrive for your appointment with wet hair. DO schedule a trial run makeup application to perfect your bridal look with your esthetician. DO add false lashes to your practice appointment if you want them for your wedding. DO get a bikini wax/body wax before your wedding and honeymoon! DO schedule your last facial ten days prior to your wedding day. DO schedule your spray tan two days prior to your wedding day. DO purchase your lip color! You’ll need to touch-up before the big kiss! DON'T tan 48 hours after a facial or waxing. DON'T arrive to any pre-wedding facial treatments or waxing with pink/burnt skin. DO ask our Massage Therapists for a recommendation for our body treatments. DO schedule your last massage a week prior to your wedding day. DON'T schedule a massage the day before or the day of your wedding. DO speak to our Bridal Coordinator for recommendations and scheduling questions. DO bring pictures of styles that you/bridesmaids like & pictures of your dress! DO pre-book a Bridal Shower Spa Day for your Bridal Party — ask how today! DO ask about our On-Site Bridal Services. Schedule a consultation with one of our technicians to answer all your questions and begin to create your wedding style. If you have more questions about booking services, consultations, a Bridal Shower Spa Day, or to book your wedding day services please call and speak with our Bridal Coordinator!